A forerunner in the field of social investment in Japan, ARUN LLC has been providing investment to social entrepreneurs in Cambodia and fostering ties with social investment firms and consultancies in Cambodia, India, and the United States. 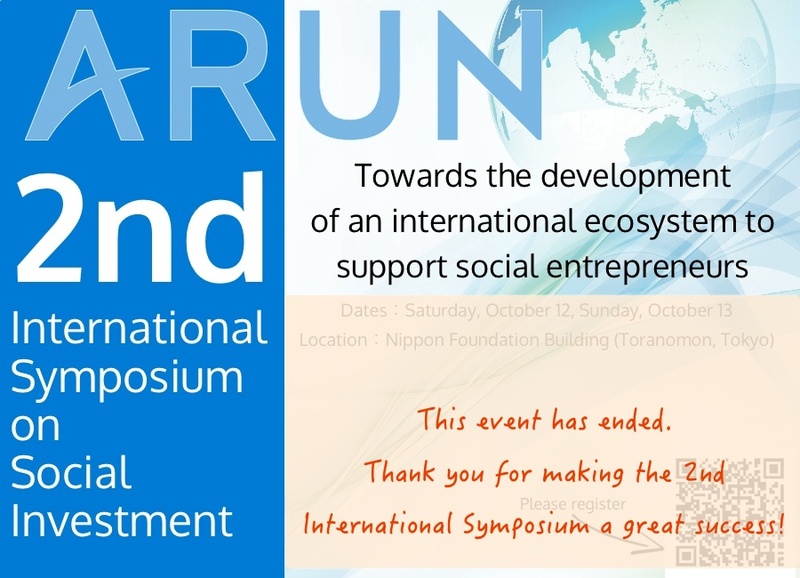 On October 12 and 13 this year, ARUN will host an international symposium on social investment to deepen its ties with these organizations and to further promote social investment from Japan. The first day of the symposium will consist of presentations by international guests and panel discussions, to be followed the next day by thematic and networking sessions. We look forward to your participation and to discussing how we can further social investment from Japan. Note: the event will be held with the support of Japan Foundation. o ARUN LAB, an affiliate of ARUN, LLC, runs seminars and workshops and conducts research on social investment. * Session 1 and Special Session will take place simultaneously. Please attend the session you are interested in. 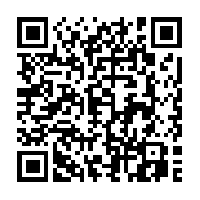 § The café session will be an opportunity for speakers and participants to network and have impromptu discussions. Her inspiration to promote social investment emerged from her 10 years of experiences in Cambodia. Prior to founding ARUN, she was working with NGOs and international aid agencies such as JICA and World Bank through which she gained outstanding knowledge and personal network in social development in Asia and Africa. Through social investment, Satoko hopes to establish a new international cooperation scheme that contributes both to the empowerment of the people and the sustainable development. She has MSc from London School of Economics and Political Science (LSE) and a BA from International Christian University (ICU). She currently serves as ARUN’s president. Janice Wilson founded and leads ARJUNI International Ltd, a successful social enterprise based in Cambodia that manufactures and retails human hair products. ARJUNI’ s sensible approach to balancing consumption and contribution has resulted in feature news stories by the Huffington Post, the New York Times and the BBC. Following a successful international career in dance, Janice graduated from Columbia University School of Law. Having significant legal, transactional and managerial skill sets in both corporate and not-for-profit arenas, Janice offers 18 years of experience within the real estate, corporate, and beauty industries. In addition to leading the management team, Janice oversees the operations, finance and legal responsibilities in her role as Chief Executive Officer. Myo Min Oo, founder of Myanmar Professional Service Co., Ltd and Principal of PS Business School; offering under-graduate and post-graduate studies. The First Chartered Marketer in Myanmar and an honorable Fellowship from ABE-UK, selected for International Visitor Leadership Program (IVLP) in States. Introduced Business Plan Competition (MBPC), Social Enterprise Challenge (MSEC), IDEA Canvas competition in Myanmar. He encourages Exchange Programs, Competitions, organized Youth Development Initiatives. Maria Theresa Pilapil is the Regional Director for Southeast Asia of Oikocredit International, a worldwide cooperative and social investor providing funding to the microfinance sector, fair trade organizations, cooperatives and small to medium enterprises. Ms. Pilapil is based in Manila and has been working at Oikocredit since January 2005, leading the regional operations with a team of local professionals. Before joining Oikocredit, she worked with Oxfam America, a relief and development international organization, for over eight years as Regional Programme Officer covering Southeast Asia. Prasad is the founder of Caspian Advisors, an Impact Investment advisory firm which manages $125mn across three Funds. Prasad has over 25 years of experience in the financial services sector, of which the last 15 years have been spent in Financial Inclusion. Prior to founding Caspian, Prasad held the position CEO of Bhartiya Samruddhi Finance limited, the flagship company in the BASIX group, one of the largest microfinance networks in India. BASIX was the first microfinance institution in India to raise external equity, as well as the first in Asia to securitize its microfinance portfolio. As Intellecap’s Chief Executive Officer, Anurag is responsible for ensuring execution of the Company’s strategic business plan. He also manages some of the key client and investor relationships and represents the management team on the Board of Directors. Takara Tsuzaki, partner at ARUN (residing in the US), has expertise in NGO management with focus on development and social policy, and organizational design utilizing facilitation/workshop methodologies. Her work experiences encompass all 4 sectors – corporate, public, academic and civil society for over 12 years. She holds MSc. in Social Policy from LSE (UK) and B.A. in International Studies and Anthropology from Macalester College (USA). Shunichi Ozasa, graduated from University Sophia in Tokyo, Ozasa had been working as a journalist in NHK (Japan Broadcasting Corporation) and in Bloomberg for almost 20 years. In 1995, he got ABS ( Asia Broadcasting Union ) encouraging prize, featuring hidden pop culture interactions between Korea and Japan. When he was in the university, he spent 4 months in a Kibbuz Ma’anit. There, he realized that communism is very numinous but it is very difficult to succeed. His belief is that the harder Japanese investors study, the better for not only Japan but all over the world. SATO Kan Hiroshi is the Director General, Research Planning Department, the Institute of Developing Economies (IDE-JETRO). He is a development sociologist focusing on social impacts of development aid projects in receiving societies. He has edited several books covering variety of topics on development aid, such as social capital, community organizations, empowerment, and participatory development. His second research agenda is an area study about Yemen where he spent 5years. Thirdly, he is trying to re-evaluate social development process of post-war Japan. Currently, he is interested in the role of business activity in widening scope of social development such as micro finance, BOP business, and social enterprises. Riku Harada was born in 1992. He became interested in the international collaboration with developing countries at his university and joined ARUN by the introduction of his friend. He participated in the business competition in Cambodia organized by ARUN LAB this year. He is currently studying at the department of science, Gakushuin University. His specialty is mathematics. Jin Wakabayashi is Director of Private Sector Partnership Division, Private Sector Partnership and Finance Department, Japan international Cooperation Agency (JICA), where he oversees the Preparatory Survey schemes for both PPP Infrastructure projects and BOP Business promotion, support schemes to Japanese SMEs etc. Prior to this, he has worked extensively on Japanese ODA loan operations for infrastructure projects in India, Nepal, Turkey and the Philippines and has also gained experience in formulating Japanese ODA Loan Strategies as well as monitoring Private Sector Investment Finance projects at the Overseas Economic Cooperation Fund (OECF) and Japan Bank for International Cooperation (JBIC) (currently JICA). Kakutaro Kitashiro is executive advisor of IBM Japan. He was appointed to the position in May 2012 after serving as chairman of the board and as president of IBM Japan. He also served as president of IBM Asia Pacific from November 1999 to March 2003. He served as chairman of KEIZAI DOYUKAI (Japan Association of Corporate Executives) from April 2003 to April 2007. He is also Chair of the Board of Trustees of International Christian University, and a member of the Central Council for Education.